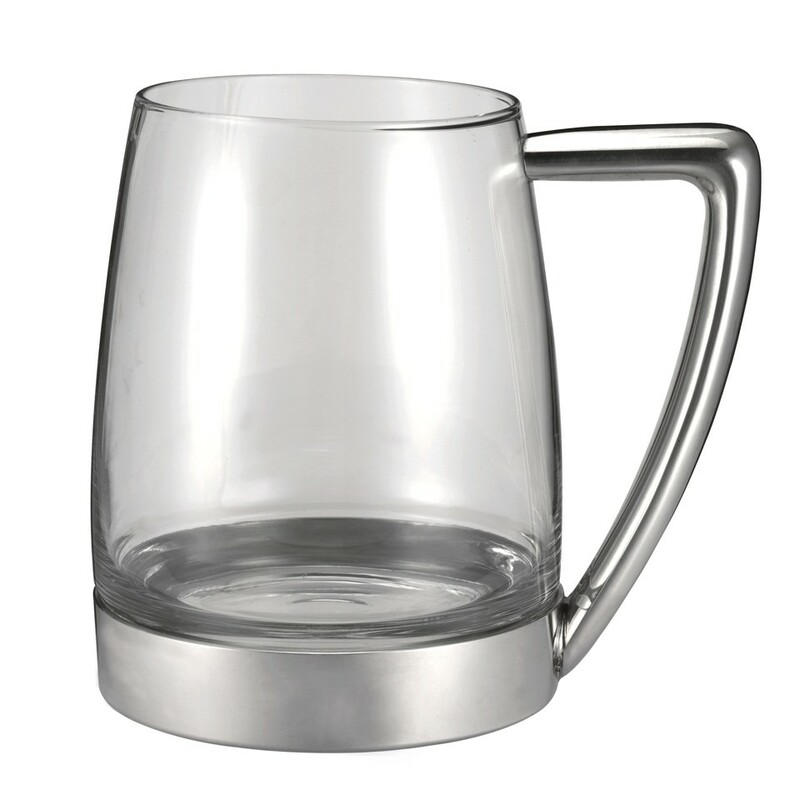 This tankard combines pewter and glass. Glass bottom tankards are said to have originated from England in the 17th and 18th centuries. A great design as it allows the drinker to see the clarity and colour of the brew.The plain pewter surface also makes each piece ideal for engraving. 570ml / 1 pint.